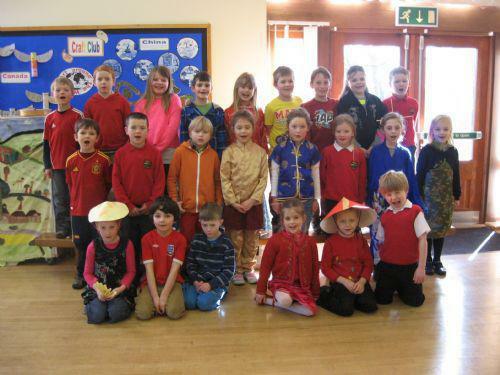 Robin Class enjoyed a China day to celebrate the things they have been learning about China in their topic work this week. 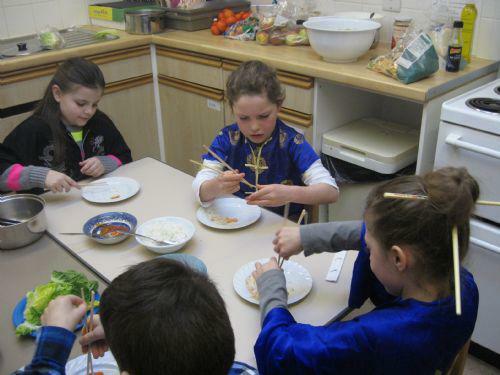 We cleared the classroom, decorated it with Chinese decorations made by the class and flowers for the tables. 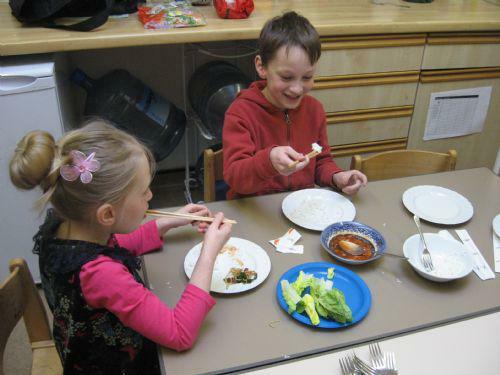 The children made and ate Chinese food (with chopsticks!) 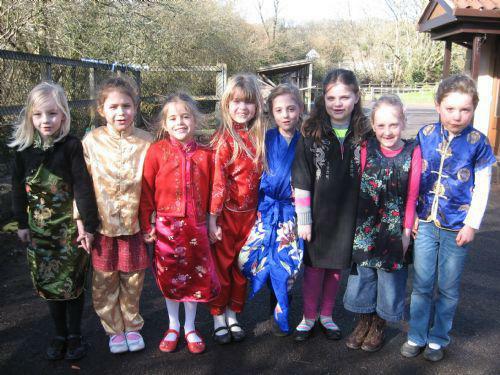 and showed what they had learnt in an assembly to the school.